Everything old is new again, at least in U.S. urban farming. 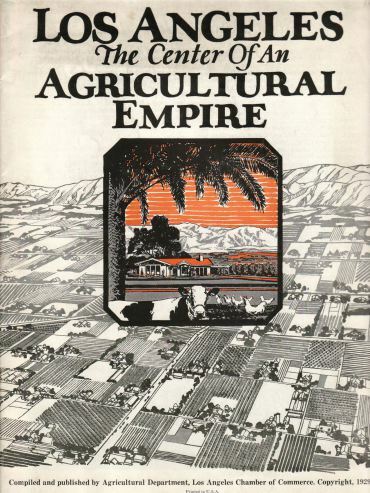 A much-needed return to American agriculture roots. And that's very good news for tens of millions of city dwellers today, especially school-age children. Alice Waters, innovative chef and leading real food activist, is credited with igniting America's return to urban agriculture by founding her Edible Schoolyard Project two decades ago. The White House staff, led by First Lady Michelle Obama, stylishly reinforced the principles of the Edible Schoolyard Project by replanting and publicizing a vegetable garden on White House grounds. Before the 20th century, Americans grew much of their family food supply. During both World Wars, U.S. presidents Woodrow Wilson and Franklin D. Roosevelt urged Americans to cultivate backyard produce gardens to ameliorate food shortages. At its height, the National Victory Garden movement produced 9 million pounds a year of fruits and vegetables during World War II, about 44% of the nation's produce. In 2013, a remarkably powerful resurgence of urban farming has been fueled by Alice Waters' pioneering 20-year-old agenda to restore "edible education" to urban school children and their families. "... 1,261 verified urban agriculture sites — categorized as school gardens, community gardens and commercial primary growing sites... School gardens make up the majority of L.A. County's urban agriculture activity, with 761 sites. Commercial agricultural operations (nurseries and farms) total 382 sites, and the researchers documented 118 community gardens." The revitalized push to bring fresh produce to urban dwellers via local agriculture isn't confined to greater Los Angeles, which is uniquely suited in its vastness to accommodate growing crops. Seattle, where the city Office of Sustainability and Environment vigorously fosters urban farming, even declaring 2010 the "Year of Urban Agriculture." In 2008, the Seattle City Council passed the Local Food Action Initiative "to improve the local and regional food system." Detroit, where urban farming has boomed as the sole source of fresh produce for a plethora of residents of the financially battered city. Chicago, where city zoning ordinances were elaborately amended to "allow agricultural uses like community gardens and urban farms in many parts of the city." Atlanta, where the Urban Agriculture Training Program has met massive statewide response in its program of "cultivating urban farmers and gardeners to build healthy, vibrant local food communities." New York City, which is "starved for space, but increasingly, residents are filling every last inch they can find with (healthy) things they can grow and eat," notes WellandGoodNYC.com in an article on New York City's Biggest Urban Farms. "When The Design Trust for Public Space released its Five Borough Farm report last year, it found more than 700 food-producing sites within the five boroughs..."
50% of the world's population lives in cities. By 2015, 26 cities in the world are expected to have a population of 10 million-plus. 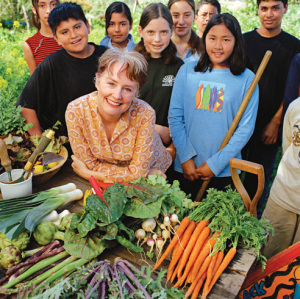 Thanks to one low-key meeting between Alice Waters and a public middle-school principal in her Berkeley neighborhood two decades ago, one acre of blighted school yard was tilled, seeded, and tended into a glorious vegetable garden that transformed those students' lives... and transformed our national mindset about urban farming. 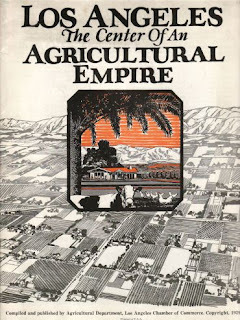 Or rather, reawakened Americans to the empowerment of growing our own produce, just as our families did before the powerful rise of industrial fake-food mega-corporations. Everything old and valuable and healthy is new again in U.S. urban farming.